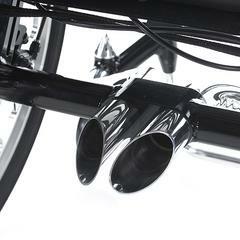 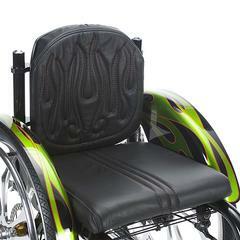 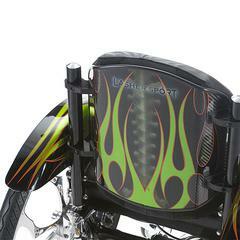 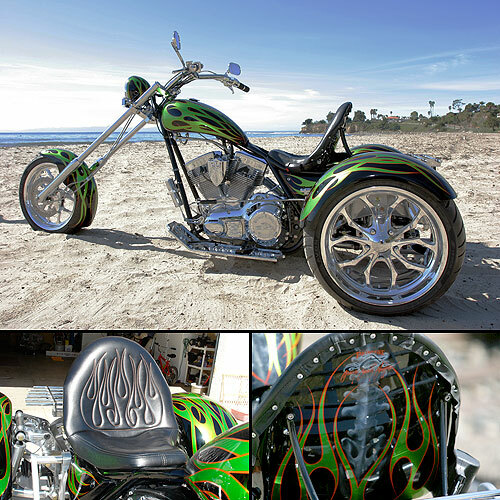 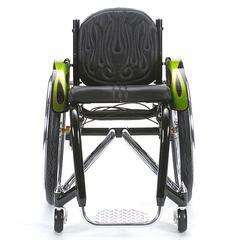 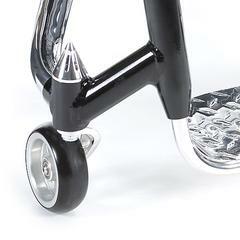 The Chopper Chair was inspired by a Discovery Channel / Orange County Chopper FANtasy Trike designed for Bryan King. 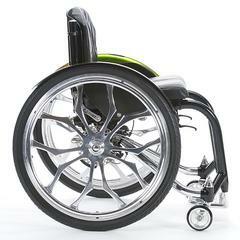 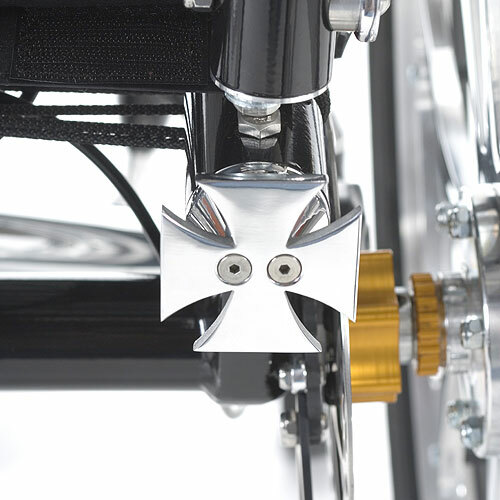 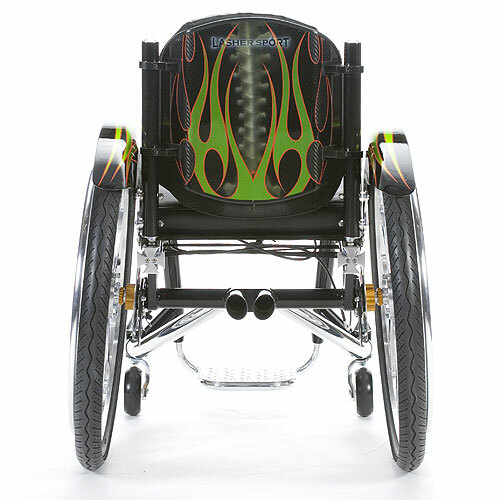 The design challenge was to make a wheelchair look as 'chopper-like' as possible and match Bryan King's OCC chopper. 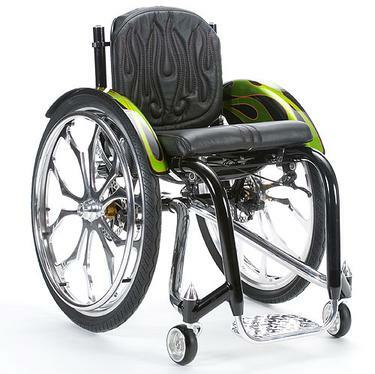 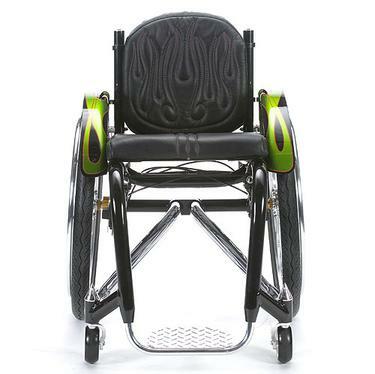 The Chopper chair has many matching components as the original OCC Trike; matching 'Recluse' wheels, 'exhaust' and tail pipe tips, skeleton painted backrest, Maltese cross tube ends, hand sewn flame embroidered leather backrest and seat, and disk brakes to name but a few similarities. Many generous companies donated their time and products to the Chopper Chair project. It represents hundreds of hours of work and coordination over many months. 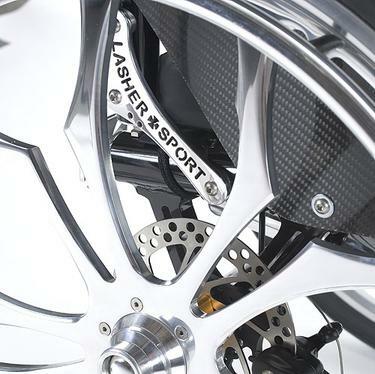 Lasher Sport extends thanks to all those who donated their time and resources to bring the project to completion.